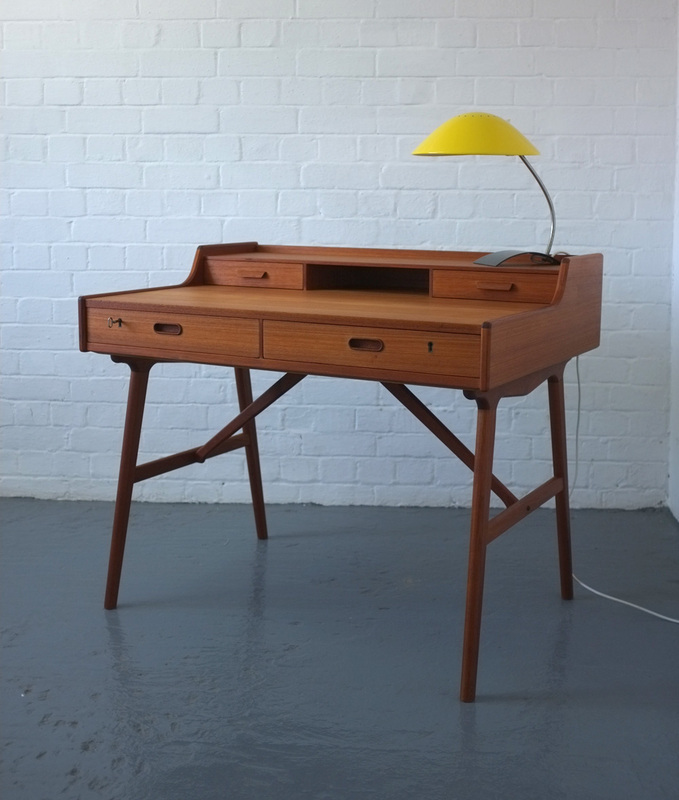 A model 64 desk designed by Arne Iversen Wahl in the 1960s for Vinde Mobelfabrik, Denmark. 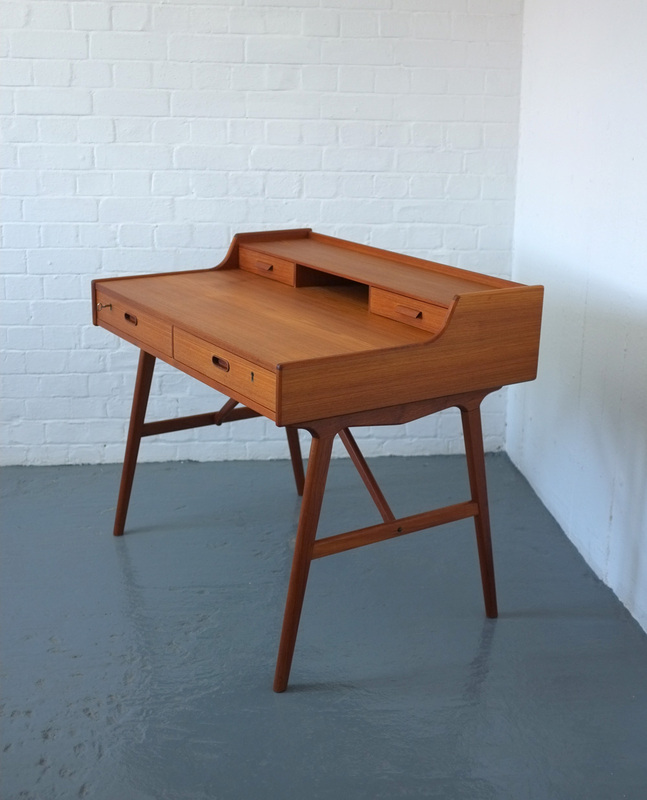 Two large lockable drawers (with the original key) and two smaller drawers on the raised area at the back of the desk. Beautifully shaped legs. The manufacturer’s stamp is on the underside of the desk and the large drawers have the Danish Furniture Control stamps. 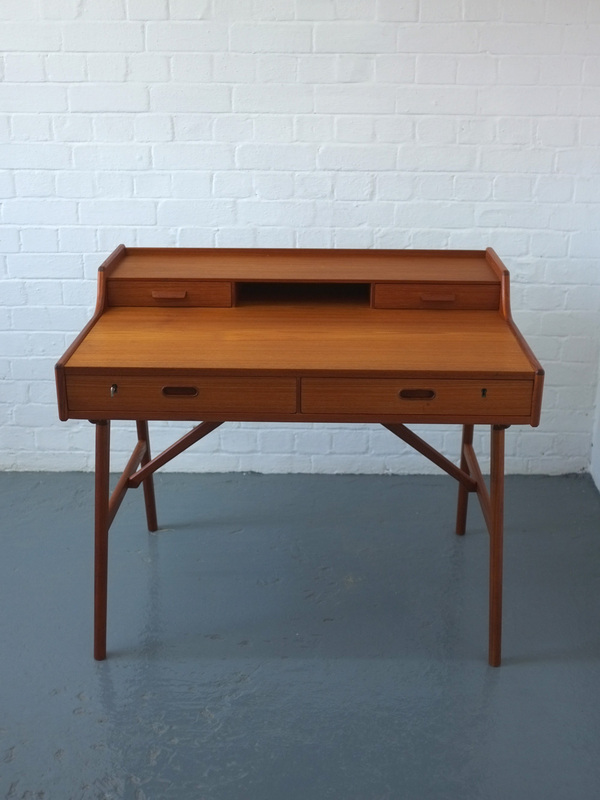 The desk been re-oiled and is in excellent condition.